Onyx Gem Stone (Sang-e-Sulemani Or Sang-e-Hadeed) is believed by some to fortify confidence, sharpen the senses, guard against negativity and help release emotions such as sorrow and grief. Onyx is likewise the tenth wedding anniversary gemstone. If you want to forget your past “LOVE”, then this is the Stone for you. It is said that Black Onyx has the ability to change a wearer’s bad habits. 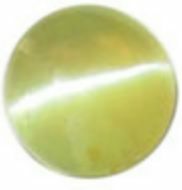 This gemstone is also used as an important tool in helping increase the concentrating abilities of absent-minded people and in calming a chaotic and problematic life. In India, the onyx gemstone is believed to have the power to pacify the over-eagerness on love. It is likewise thought to help the wearer become very eloquent, and so most speakers wear onyx during public speaking engagements. Likewise, a lover wears it to be able to find the right amorous words and capture the heart of their new romantic interest. Onyx gemstone is said to help in the growth of hair, skin and fingernails. Onyx Gem Stone is said to help in releasing negative emotions such as grief and sorrow. It is also used to terminate troublesome or unhappy partnerships and relationships. Onyx Gem Stone also guards the user against negative vibes. Onyx jewellery is worn in order to defend oneself against negativity. Black gemstones are said to have protective energies because black is known as the absence of light, and so it can be utilised to create the illusion of invisibility. Finally, the onyx gemstone fortifies the wearer’s self-confidence and sense of responsibility. It strongly helps in sharpening the five senses and likewise encourages a healthy ego of self. For those who would love to own an onyx gemstone. Onyx lends the wearer the look of elegance and wealth. One interesting fact about onyx is that it was immensely popular with the Romans, particularly amongst their soldiers, who would wear Onyx as talismans for courage on the battlefield. Today, we see that Onyx benefits its wearer by helping one eliminate negative thinking, sharpen concentration, and relieves stress. It is widely believed that black onyx can change your erratic habits for good if used with faith. It is considered as one of the powerful protection stones as it absorbs negative energy relieving people of mental stress and promotes emotional well-being. Black onyx Gem Stone is associated with planet Saturn and it said to bring positive vibes for those with a strong Saturn in their birth charts. In Indian traditions, it is said to help people forego their past relationships bringing the person in harmony with the present. It is common to find rosaries made of black onyx as it is believed to have medicinal benefits. There are so many cheap versions of Onyx Gem Stone available but not effective at all as they are heat treated or just a black colour stone. The one we sell is grade “A”, untreated and highly effective with full money back guarantee.